Yussef El Guindi explores issues of fear and profiling in his new play. The title of Yussef El Guindi's new play, "Back of the Throat," refers to an attempt by the lead character, an Arab-American writer named Khaled, to tell the government agents who show up at his door how to pronounce the first syllable of his name. This task, the need to identify and explain oneself, has become a familiar one since 9/11 to Arab-Americans, who often find themselves the subject of both curiosity and fear. For playwrights, though, this twin desire, has turned out to be an opportunity. "For the longest time Arab issues or Muslim issues just had not been on the radar," said Mr. El Guindi, whose play has its New York premiere today at the Flea Theater. "They were regarded as too complex." The subject was just "too edgy," he said. Then came 9/11. "Suddenly there were calls for plays," he added. 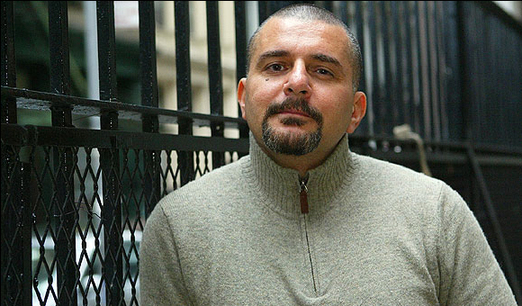 Mr. El Guindi is one of a small group of Arab-American playwrights who have gained a higher profile since the terrorist attacks. Their work, they say, is partly designed to counter stereotypes about Arabs and Muslims.